The blood-soaked internecine turmoil convulsing the Arab realm – from the Maghreb to Mesopotamia – has nothing to do with Jews, with Zionism, the Jewish national liberation movement or with Israel, the Jewish state. The carnage is spawned by internal Arab ethnic, religious, clannish and political conflicts. Each side reinforces its case by recruiting throngs of volatile and violent demonstrators. This rent-a-mob fest is palmed off to clueless foreigners as democracy-in-action. In some local arenas, as in Syria, the inner strife is exacerbated by blatant outside intervention, underscoring the broader and deeper schisms within the Arab/Islamic world. In rational and realistic terms, all this cannot be remotely linked to Israel. But expediency can overrule reason and indeed create an inner logic all its own. It works like this: hatred of the Zionist endeavor had served since the 19th century as the powerful glue of Arab nationalism, crucially buttressed by prevailing religious xenophobia. Insidious propaganda had raised this animosity to the status of an obliging sacred duty, a testament to personal/communal integrity, patriotism and spiritual fidelity. The more the Jewish state is reviled, the higher castigator’s reputation rises. Anti-Israel fervor is money in the political bank. And so both the despot from Damascus and his Hizbullah minions accuse their antagonists of being Israeli hirelings. The al Qaida “volunteers” and assorted Syrian insurgents reciprocate with the identical charges but in reverse. To hear them, Bashar Assad is an Israeli agent. No less. The gist of it is that uninvolved as Israel is, it’s dragged in as the monstrous bogey which everyone is honor-bound to abhor. Willy-nilly the contest for the public’s hearts and minds is on, with all sides striving to demonstrate that they are laudably more anti-Israel than their adversaries. Inter alia, the demonization of Israel and the Jews intensifies. It’s the unassailable axiom on which all other argumentation is based. Syria is of course only one example. When a bomb devastated a Hizbullah installation in Beirut, the Lebanese government knew instantly, sans investigation, whom to blame – Israel, obviously. Hizbullah itself wasn’t as willing to absolve its Sunni opponents but the spirit of Arab discourse required it to add that these Sunnis perpetrated their murderous deeds at Israel’s evil behest. In any case, in the eyes of the indoctrinated Arab hoi polloi Israel is the source of all wickedness. It was quite inevitable that the same would manifest in the Egyptian mayhem. Cairo’s warring sides strive their darndest to outdo each other in anti-Israel ardor. The forces loyal to the military quasi-secularists clamor for abrogating the peace deal with Israel. Their dialectics almost make sense – in their universe. They are furious at the US and not groundlessly so. American president Barack Obama hasn’t missed a misstep from the outset of his first term to this day. In his heart of hearts Obama seems to yearn for a utopian fusion of pious Islam with Jeffersonian democracy. He’d like to show all of Islam’s detractors that the Muslim Brotherhood and associated offshoots (like those in Turkey, Gaza or even Iran) can conduct their affairs with gentleness, tolerance and justice for all. That was the gist of the paean of praise for Islam that he delivered at Cairo University in 2009 and which he later followed up in Turkey. It was no accident that then-Egyptian President Hosni Mubarak absented himself from the milestone Cairo address. With his keen political antennae, pro-American Mubarak could feel the ill-winds blowing from Obama’s direction. He wasn’t wrong. Obama’s cold shoulder facilitated and expedited Mubarak’s ouster. Obama kick-started the disastrous Arab Spring. And now, say the Muslim Brotherhood’s rivals, Obama continues to evince sympathy for the deposed Mohamed Morsi and his theocracy-boosting supporters. So how do the pro-military agitators propose to punish Obama? By hitting Israel, of course. It goes without saying that they unreservedly subscribe to the perception of Israel as an American implant and lackey. Therefore, by striking out against America’s underling, they’d be socking it to Obama. There’s no point pointing out that Obama is likely the least friendly US president to Israel ever. Cairo’s reality, like that of the rest of the Arab sphere, is comprised of layer upon shadowy layer, one concealed behind another. Cloaked schemers abound, each exploiting another schemer, each duping someone for secret ends. Life is an interminable complex of nefarious conspiracies in which it’s best not to trust anyone but suspect everyone. In the Arab Middle East one and all assume you’re conning them and you can never prove otherwise. Truth isn’t only immaterial; it’s downright undesirable. Hence, like it or not, Israel is regarded as Obama’s darling and the way to get his goat is by getting us. This is much like the Polish response in 1938 to the wholesale Nazi expulsion of Jews with Polish roots. Jews from Poland and Russian territories that would later become Poland had been fleeing persecution to Germany since the 19thcentury. Their children, grandchildren and great-grandkids were German-born. The same was true in Austria, which after the 1938 Anschluss became part of the Third Reich. 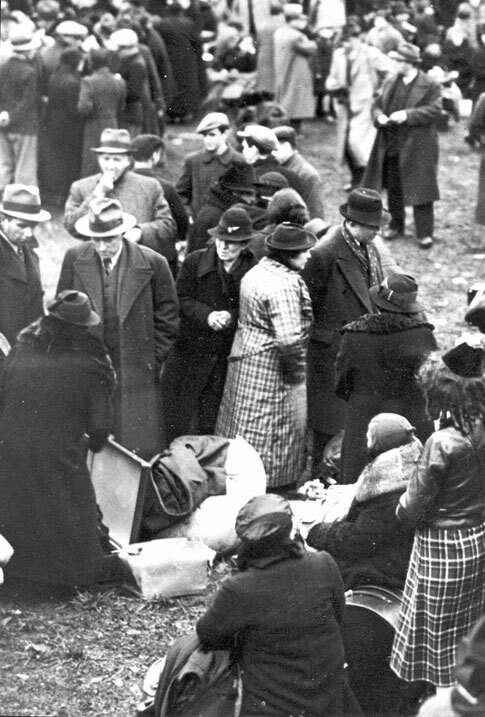 On October 27 that year, the Gestapo began forced mass deportations of such hapless Jews across the Polish border. Poland retaliated by stripping these Jews of their Polish citizenship and invalidating the passports of those who at all held Polish papers. 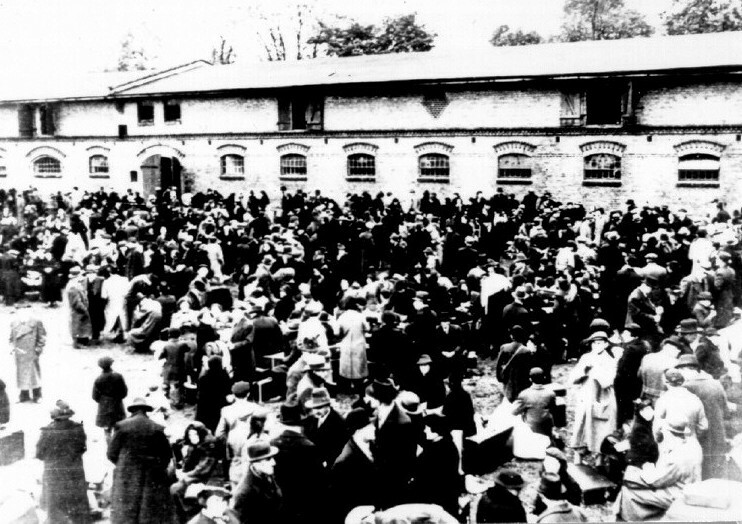 The thousands, who were driven out violently – many bereft of anything, even a change of clothing – into the Polish domain, were not allowed in by Poland. And so they languished for long insufferable weeks without any amenities in the harsh cold of no-man’s land. This was Poland’s way of punishing Germany. The reverberating Polish slogan then was “If you hit our Jews, we’ll hit your Jews.” Look at it any way you wish, the only ones getting hit were Jews. The world watched all this with remarkable equanimity. It’s just as liberal world opinion in our day is hardly shaken, much less outraged, by the plethora of anti-Jewish/Israeli falsehoods emanating out of the conflict-torn Arab states – most of them synthetic fabrications concocted by European powers before the sun set on their empires. It’s almost as if anti-Jewish/Israeli calumnies are the way of nature and there’s no need to let these highly expected tall tales unduly ruffle any feathers. There’s plenty more to suggest that Israel actively sided against the Muslim Brotherhood, but no sources were named to substantiate charges that could boomerang throughout the region. Israel’s official non-interventionist stance was dismissed as a thin, insubstantial cover-up. The entire conspiracy theory hinged on supposed whispers off-the-record by unidentified “Israelis” and “Western diplomats.” The latter are said to “believe” Israeli pro-Sisi meddling and the proof is that Sisi “appeared to be” in touch with Israelis. This is the level of proof once required by the Spanish Inquisition. No real evidence is requisite when insinuations and guilt-by-rumored-association will suffice. All this reminded me of a Polish friend of mine. She was born into a non-Jewish family but followed her Jewish boyfriend here, converted to Judaism, married and raised a wonderful Israeli family. At some point she decided to travel back to visit her elderly mother and sisters. I inquired about the nostalgic journey after her return. She summed up: “The old Polish syndrome lives, the Jews are eternally to blame – even where none remain.” And that’s how it is in Egypt too. … and to advance the brain washing and inculcation of anti semitism in Poland – they continue to allow “Radio Maria” to voice anti Jewish sentiments without condemnation. The introduction of al – Jazeera in the USA as of this week will I fear accelerate the anti Jewish / Israel declarations further and influence the already gullible masses. I don’t imagine the present President will mind. Al-Sissi is in a good company. Revolt in Libya was fueled by rumors that Muammar Gaddafi was Jewish as well. It’s just not your imagination Sarah, there really is a ruthless conspiracy against the Jewish people, led today by (like it, believe it or not) the greatest mole of all time, as future history will have been recorded, one Sheikh Muhammad Hussein Obama, the extremely evil, pretending to be a “friend” of Israel, plant of the New World Order globalists. And we shouldn’t kid ourselves, they WILL be successful…which doesn’t bode well for us. Thank you dear Uncle…for presenting that piece of truth about Hussein Obama ! Why blame nationalism for the antisemitism exhibited across Middle Eastern national boundaries? The problem is Islam, without Islam these countries and their leaders would not be antisemitic. The history of Middle Eastern nationalism has always been weak aside from Israel. Mostly it was a facade to attract sympathy from abroad for anti-colonial struggles to restore Muslim authority after the loss of the Ottoman Empire. So also now, international struggles among the Muslim countries are over who is to control some kind of restored caliphate. Iran, Syria, Egypt, none of these countries are nationalist. They are Muslim. Your anecdote about immigration between Austria and Poland is confusing. You say, “the Gestapo began forced mass deportations of such hapless Jews across the Polish border.” When you say “such Jews” are you referring to Jews who had fled persecution into Austria from Poland and retained Polish citizenship? This I get from “Poland retaliated by stripping these Jews of their Polish citizenship and invalidating the passports of those who at all held Polish papers.” And how was this punishing Germany since the Jews were fleeing Austria, not Germany? Paul, the expelled Jews were from Germany! Austria was then an indivisible part of Germany. This is elementary. Austria had already been annexed to the Third Reich. This is what Anschluss means. The mass expulsion of Jews, whom the Nazis deemed to be Polish, is a very famous key historical event and nothing in the least esoteric. It is a shame that – as your comment shows – so few today know their history! The expulsion motivated the young son of one expelled family, Herschel Grynszpan (who was then in France), to assassinate the German diplomat Ernst vom Rath on November 7, 1938 in Paris. Herschel’s act of desperate protest provided the Nazis with the pretext for Kristallnacht, the country-wide anti-Semitic murderous and vandalistic rampage on November 9-10, that many see as presaging the Holocaust. The expulsion was a milestone event, a true watershed. Sarah’s retelling of history is flawless. Some readers, though, could well benefit from a thorough review of history before mocking. “And that’s how it is in Egypt too”. Yes…and Hussein O. and his lackey Kerry now try to force Israel, to give up on Judea and Samaria…! Hopefully EVERYONE in Israel will now come to the conclusion, that there MUST be a ONE state solution…! Obama does not pretend to be a friend of Israel. The ritual cliche or two he utters to that effect for the record on rare occasions is transparently false teleprompter talk, but those who have a need to believe it believe it, and that is the pitiful state of thralldom that a large majority of Jews inhabit here in the United States today.